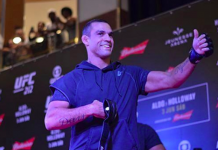 Earlier this month, on the main card of UFC 212 in Rio de Janeiro, Brazil, MMA veterans Vitor Belfort and Nate Marquardt collided in an interesting, middleweight clash. In the end, Belfort would win this fight with a rather controversial decision. 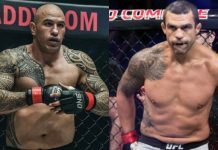 Though this fight was initially expected to be Belfort’s retirement fight, he was quick to correct this perception, first stating that he planned to continue fighting outside the UFC, then that he actually planned on taking 5 or so more fights inside the UFC’s Octagon. Though nothing is confirmed just yet, it looks like Belfort’s next fight could end up being a rematch with Marquardt. 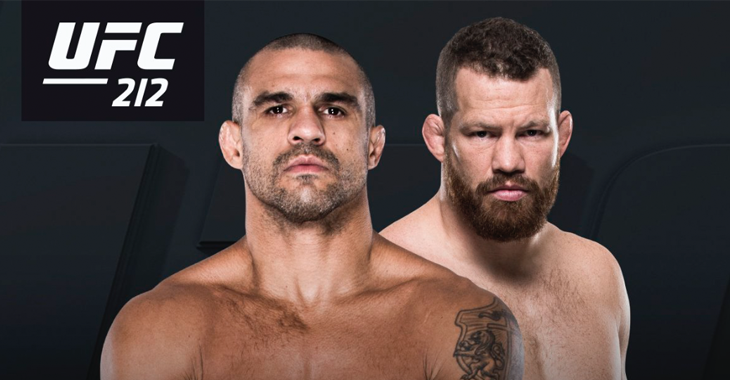 Shortly after their fight, Marquardt voiced his disappointment with the judges’ decision, suggesting they only sided the way they did because the fight occured in Belfort’s native Brazil. Now, Belfort has agreed to Marquardt’s proposition, saying he’d be happy to rematch his recent foe on neutral ground. I respect @natemarquardt a lot but finding excuses for a loss it is not right. I won the fight for sure and fighting in Brazil doesn’t make a difference for the organization and the judges. As far as I’m concerned UFC is a international organization that has events and staff all over the world. But if you want to do it again. I am down for it!! Let’s fight in a neutral ground, so you can’t complain about hometown advantage. I will make sure that the fight will not go to the last round! Let’s do it!! Respeito muito o @natemarquardt mas ficar procurando desculpa para uma derrota não é legal. Eu venci a luta com certeza e lutar no Brasil ou em outro qualquer lugar do mundo não faz diferença para a organização ou para os juízes. Pq até onde eu saiba o UFC é uma organização internacional que promove eventos em vários países e também tem uma equipe espalhada por todos continentes. Mas se vc quer lutar outra vez, por mim tudo bem! Eu topo! Vamos lutar em campo neutro, aí vc não vai poder reclamar de lutar no país de ninguém. Na próxima vou garantir q a luta não vá para as mãos dos juízes. Vamos lutar!! 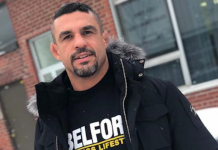 “I respect [Marquardt] a lot but finding excuses for a loss it is not right,” Belfort said on Instagram. “I won the fight for sure and fighting in Brazil doesn’t make a difference for the organization and the judges. As far as I’m concerned, the UFC is a international organization that has events and staff all over the world. 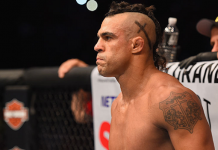 Do you want to see Vitor Belfort and Nate Marquardt do battle again?